New Year, New Mattress Technology. Every New Year brings a wide range of exciting products to keep your little one as safe and comfortable as possible, while also making things a little easier for you, the parent. This is why Kit for Kids® have just launched their latest innovation, the VentiDry mattress range. VentiDry mattresses are not only comfortable and supportive but are entirely machine washable at 60°C for hygiene and ease. Washing at this temperature helps to keep the interior fresh and clean, eliminating all house dust mites from the mattress and ensuring a healthy sleeping environment for the baby. 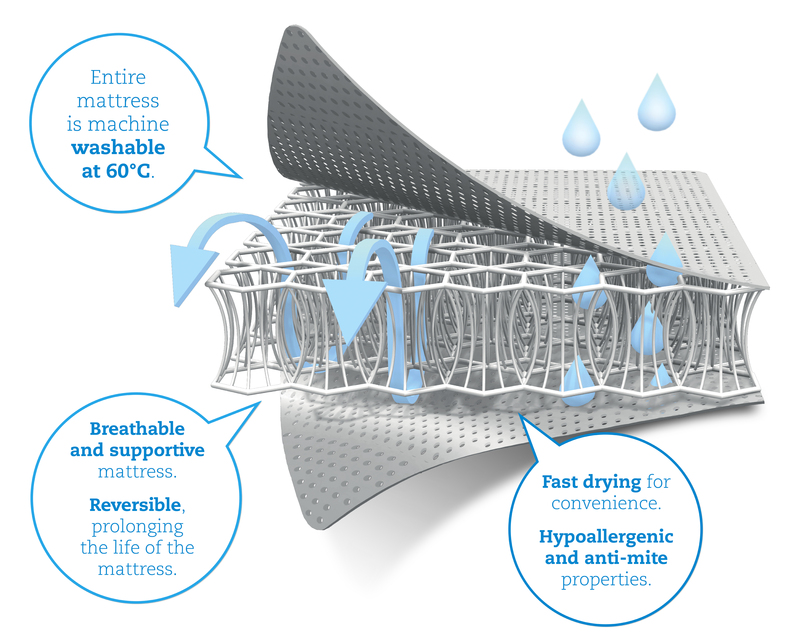 The 3D structure of the inner core allows for water to pass through the mattress effortlessly. This allows the mattress to dry quickly as it doesn’t retain any water. The inner core encourages air to circulate through the mattress which enhances its breathability to prevent overheating while sleeping. It is also reversible, like all Kit for Kids mattresses, to help prolong the life of the mattress. The new VentiDry mattresses will be available from the end of January and come in three sizes moses, crib and travel. For your chance to win visit us at www.facebook.com/lovedbyparents give us the thumbs up and write the words ‘VentiDry’ in the comment box on the LBP page. Competition closes on the 6th February 2016.